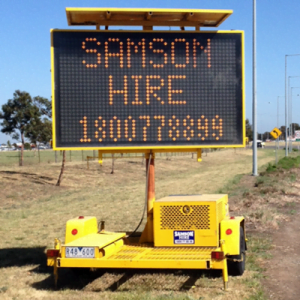 When you’re undertaking roadworks, it’s imperative that you hire traffic management signage. 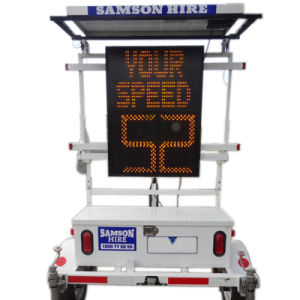 It makes the site safer for you and your construction team, and also for the drivers making their way around the road disruption. 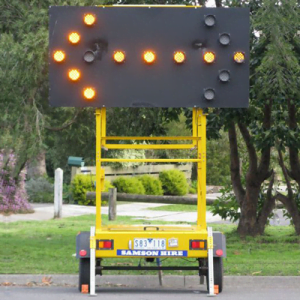 Further to this, an effective system of traffic control signage in place will put your staff at ease and allow them to properly concentrate on the job at hand, helping to minimise the amount of time it takes to complete the project. 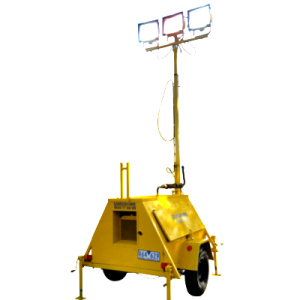 The roadwork equipment you can hire from us also includes powerful light towers as well as non-fixed traffic lights that are easily transportable and anything else you’d need to keep the site safe. 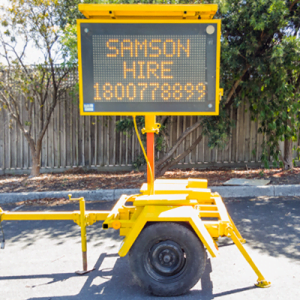 Samson Hire has been operating for many years now, providing the best quality equipment available with the most up to date technology possible since the early 1990s. Over the years, we’ve focused heavily on delivering exceptional customer service to each and every customer we work with, and you should expect nothing less. Topped with impressively affordable rates, you need not look any further! 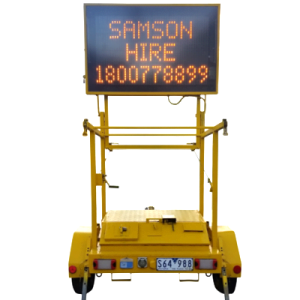 If there is any additional information you’d like or to learn about the pricing for traffic management signage hire or any of our other equipment, please contact us today. 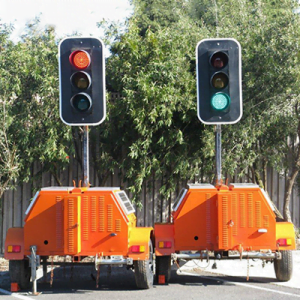 You can do so by either calling 1800 77 88 99 or sending us an email and we’ll strive to get back to you as soon as possible.